After very careful deliberations, the Board of Directors of Building Solid Foundations voted to cancel its September trip to Ghana based on the recent Ebola outbreak in West Africa. Board Member and Co-Founder Dr. Seth Quartey explained that outbreaks are considered over only after 42 days have passed without any new cases. This represents two times the incubation period. “This means the current outbreak will continue until at least mid-September, the start of our planned trip” explains Dr. Quartey. The following email was received from Francis Yawson, Interim Hospital Administrator, Apam Catholic Hospital in response to the trip cancellation announcement. Thanks for the information but sorry that plans for 2014 had to be cancelled owing to the recent Outbreak of EBOLA in neighbouring countries in West Africa. We equally share your concerns and Safety and pray that this deadly disease will finally be contained. The information will be passed on to the patients and when all is over we can continue with the programme next year. 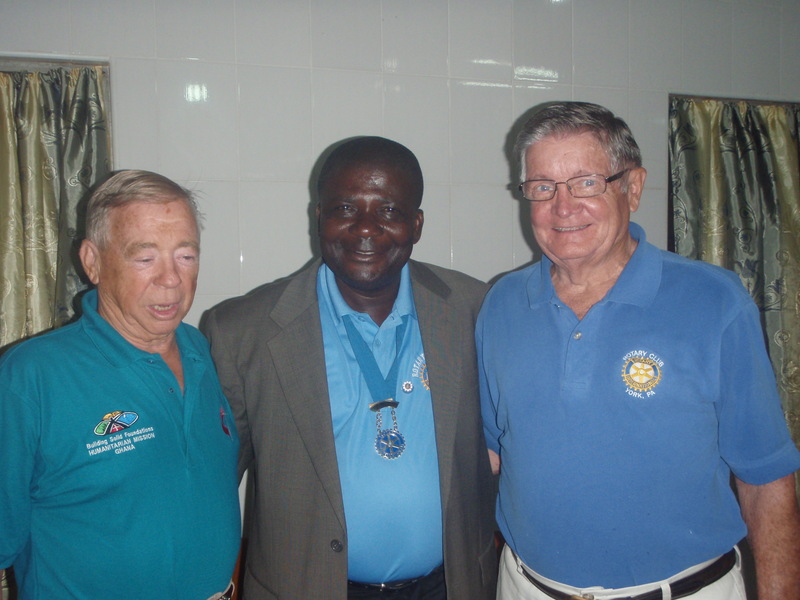 Francis Yawson (center) with BSF Board Chair Steve Shellenberger (left) and Dr. Robert Davis, Vice Chair and Head of BSF Surgical Team.